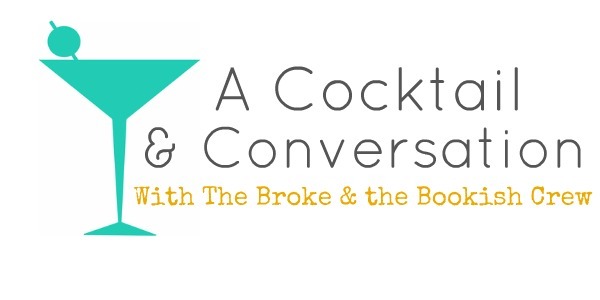 The Broke and the Bookish : A Cocktail & Conversation - Travel Bucket List! Question: Name two places on your travel "bucket list" and why? Julia says: As a historical romance devourer, it has been on my to do list for years to go to London and the United Kingdom. I have the pictures in my head of how everything is and would love to see what it looks like now. I want to stroll in Hyde Park, tour the Tower of London, go out into the country side. Oh, man could I make itineraries! From there I would hop around Europe and see all the awesome castles scattered about in France and Germany to live up my inner princess. Second, (because that is all one trip. Give me this one guys...) is Russia. I have not mapped out the exact itinerary or anything but I just felt called to this country for as long as I can remember. I gravitate to Russian literature and books set in Russia. Have you ever felt that way about a place? That is how I feel about Russia. I would think I would want to go to St. Petersburg and/or Moscow. Maybe take the Transiberian Train... definitely a bucket list item! 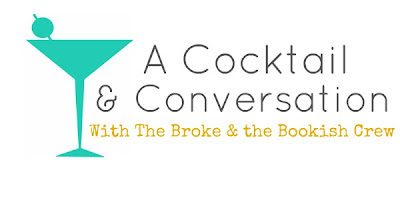 Lori says: I want to go on a Hemingway Drinking Tour through Italy, France, and Spain. This is because I am a huge Hemingway fan and I actually wanted to go to France and Italy before I became a Hemingway fan. I've about got Zach talked into this (I have him talked into Italy already) for our eventual honeymoon, but I probably can't talk him into following a reading list about the places we'd be going. But you can bet I'll be reading the correct novels. Let's see, we'd go see the sights and cities that you'd expect--the Vatican, the Louvre, Tuscany, Provence, Madrid--plus hopefully a few off the beaten path. My ideal situation would be to buy a ticket over and a return ticket and have no other plans--we'd go where we wanted when we wanted and worry about finding a hotel once we got there. Plus I plan to eat my weight in pasta in Italy and drink my weight in wine all over. Paradise in my opinion. What about the rest of you? What are some places on your travel bucket list?? I have been to England Scotland and Wales and it is as amazing as you'd want it to be:) Highly recommend. For years I have wanted to go to Scandinavia. Especially Sweden and Norway. It just seems so idyllic and lovely. Someday!!! I agree with Julia! I'd definitely go to the Tower of London and Paris (definitely the Louvre, Versailles). I'd also like to go to Germany to see the real castle the Disney castle was based off of. Ireland, New Zealand, Greece and Australia! London is my abolute favorite city and I feel the need to read a book as soon as it is set there. Tuscany, I mean Italy in genereal, is so worth a visit. Since I was in my early teens I've been fascinated by how traditional Japanese culture has evolved and survived, so I'd love to go to Kyoto in cherry blossom season, sit under the beautiful trees for hours, and see the geisha tottering around looking like something from another world. I'd also love to go up to Iceland or Greenland, maybe do some whale watching and see the Northern Lights. That's my all-time top item on my whole bucket list, I think! I could die happy after that. I've been to UK/London, France, Italy and Spain and they're all great. There's a certain magic in Europe that I can't quite describe! I'm going to move there in a year or so, can't wait! On my bucket list is Africa (which I'm going to tick off in 2014), Dubai (also will tick off 2014), Japan, South America and Thailand.... there's a LOT of world to be seen! I also agree with Ellie, I want to go and see the Northern Lights at some point! Either in Iceland or Alaska! Julia, I was just in London over a month ago and LOVED it! You have to go! And the Tower of London was probably my favorite thing there ... wasn't expecting it to be, but it was really cool! I hope you get to go on your trip sometime soon!